Welcome to the Spellbound Quilt Along hosted by Fat Quarter Shop! My version looks a little bit different from Fat Quarter Shop's pattern because at the last minute I succumbed to the "What if..." urge! This pattern uses one print jelly roll, one background jelly roll, and the Creative Grids 90 degree Double Strip Ruler. It is super fast to make because you sew jelly roll strips together and use the ruler to cut patches. I chose gorgeous Hoffman batiks for this project: Dot Pops batiks for the prints (40 2-1/2"-strips ready to use), as well as yardage for the background (Snow), and the beige fabrics (Fresh Linen Abalone Key Stripes and Papyrus Flower Vines). These batiks provided color and texture to the quilt, all the while complementing the quilt design instead of competing with it. 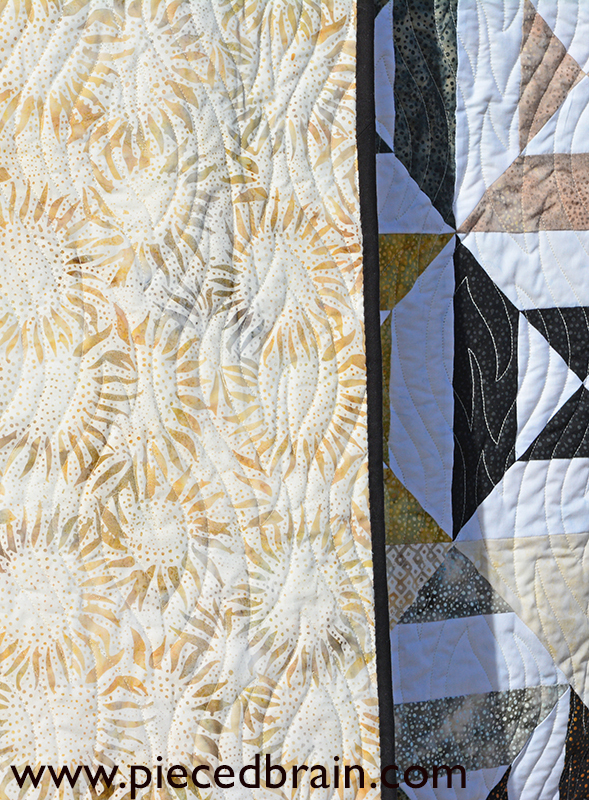 Look at this magnificent backing, also by Hoffman, called Fresh Linen Batiks Abalone Sunflowers. 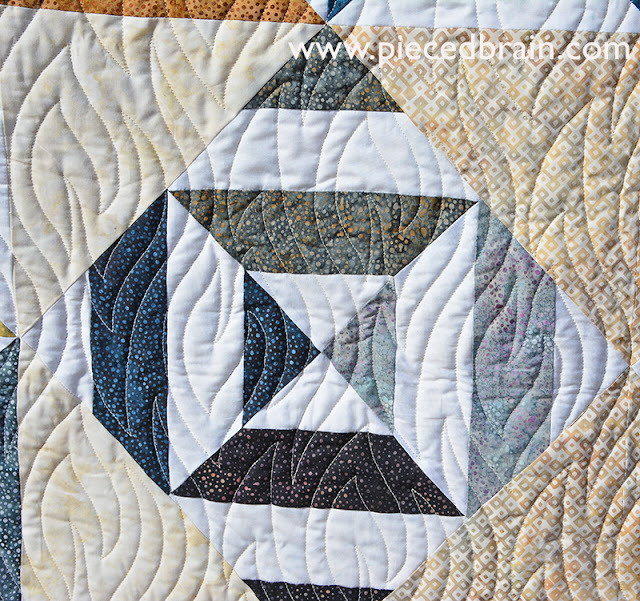 Melissa from Sew Shabby Quilting saw this backing and chose the perfect quilting motif to match it! 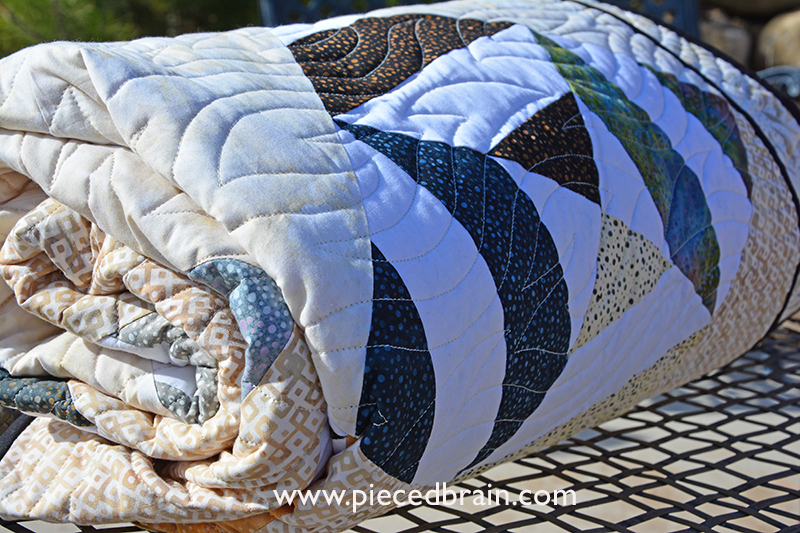 This great modern quilt design would look great with any fabric. Since I am in the midst of a hot love affair with batiks, I could not think of using anything else. 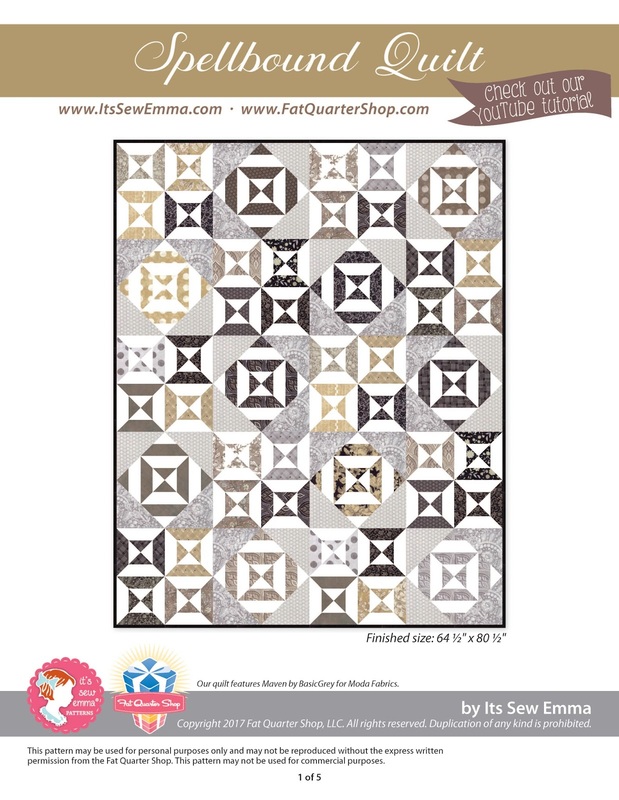 Fat Quarter Shop's pattern is available for download. The video will show you how the ruler speeds up the patch-cutting process, and you will make this quilt in no time at all. 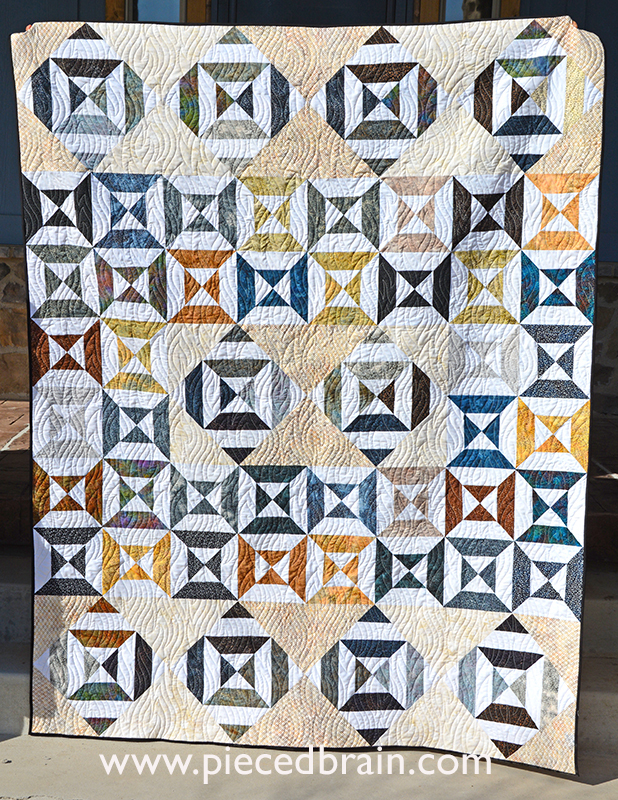 Head over to their blog to check out other versions of this quilt by the participating bloggers, so you can get ideas for your own fabric combination. It is beautiful and the quilting is perfect too. The quilting is absolutely perfect!!! !